An army in a bucket, equipped with an array of gear that enables them to perform a broad range of missions. The Green Army Men are tiny green army figures from Toy Box who appears in Kingdom Hearts III. They originated in the Disney/Pixar film Toy Story. Their leader is Sarge and they also have a member called Corporal. 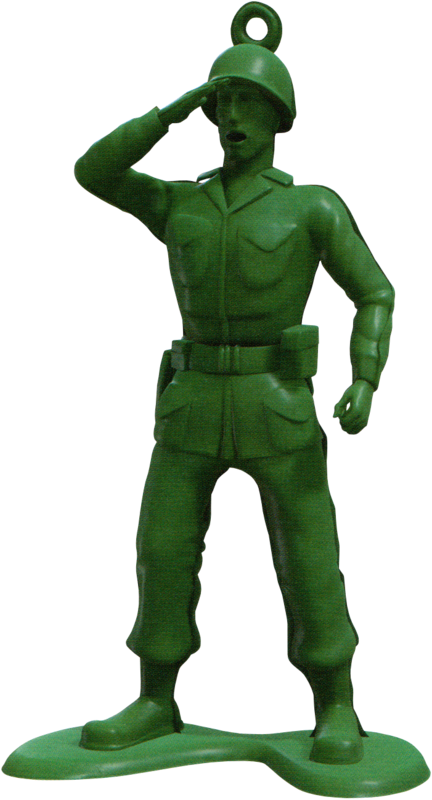 The Green Army Men first appeared in 1995, in Pixar's first feature film Toy Story. Sarge was voiced by the late R. Lee Ermey in the film, as well as the first two sequels Toy Story 2 and Toy Story 3. This page was last edited on 21 February 2019, at 17:51.